Cheap flights from Paris to Beijing, China from €327! Return flights from the UK airports to Rio de Janeiro, Brazil from £371! Qatar Airways promotion: Budapest to Thailand (Krabi, Phuket, Chiang Mai) from €414! Cheap flights from Paris to Beijing, China from €363! Find the lowest priced deals France China and book your next cheap flights from Paris to Beijing based on promotion of French airline Aigle Azur. Moreover this is based on non-stop service. If you are budget travelers in France looking for the cheapest flights on a direct service to China this autumn do not miss this promo sale. Based on discount of Aigle Azur you can book vry cheap non-stop return flights from Paris Orly to Beijing incl. 23kg checked-in luggage. (Fare is inclusive of all taxes and fees as well as onboard meals). Aigle Azur promo sale offers the cheapest flights from Paris to Beijing from May to June or September to October 2019. (Simply follow below link to the airline´s low-cost calendar). At this moment great availability at the cheapest fare and you can find more options for under €400. No min. stay. Max stay 12 months. No free stopover available. Including 23kg bag in hold. Fare class is “P“. Aigle Azur promo sale is running till 26th of April or until sold out..
Travel dates. 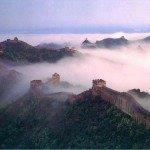 : Compare the cheapest flights Paris-Beijing at website of the carrier. You can book your accommodation in Beijing via Hotels.com or Booking.com. Also you can further discount your hotel when using one of following promo codes. Beijing is the capital of the most populous country in the world, the People’s Republic of China. With a population of 21.5 million people, it is the nation’s second-largest city after Shanghai. It was also the seat of the Ming and Qing dynasty emperors until the formation of a republic in 1911. Beijing is the political, educational and cultural centre of the country and as such it is rich in historical sites and important government and cultural institutions. The city is marked by its flatness and arid climate. There are only three hills to be found in the city limits (in Jingshan Park to the north of Forbidden City) and mountains surround the capital on three sides. Like the configuration of the Forbidden City, Beijing has concentric “ring roads”, which are actually rectangular, that go around the metropolis and serve as good reference points as one attempts to move about the city. Beyond the ring roads are the most-visited portions of the Great Wall of China, which witnesses visitors the world over and Beijing serves as a good headquarters for those who wish to gaze upon one of mankind’s more memorable and lasting structures. if you have booked these cheap flights from Paris to Beijing you can read more about this city at Wikitravel. See also current list of Air France discounted deals from Paris here. Booking sample of cheap flights from Paris to Beijing, China from €363! Your outbound date from France to China would be on 17th of May. Inbound flight from this Asian country back to Paris Orly on 1st of June 2019. Take advantage of this latest promotion from France to China and book the cheapest flights from Paris to Beijing!